We love tenors! Of course we do! That’s why we’ll love this tenor compilation that just recently was issued on Decca. 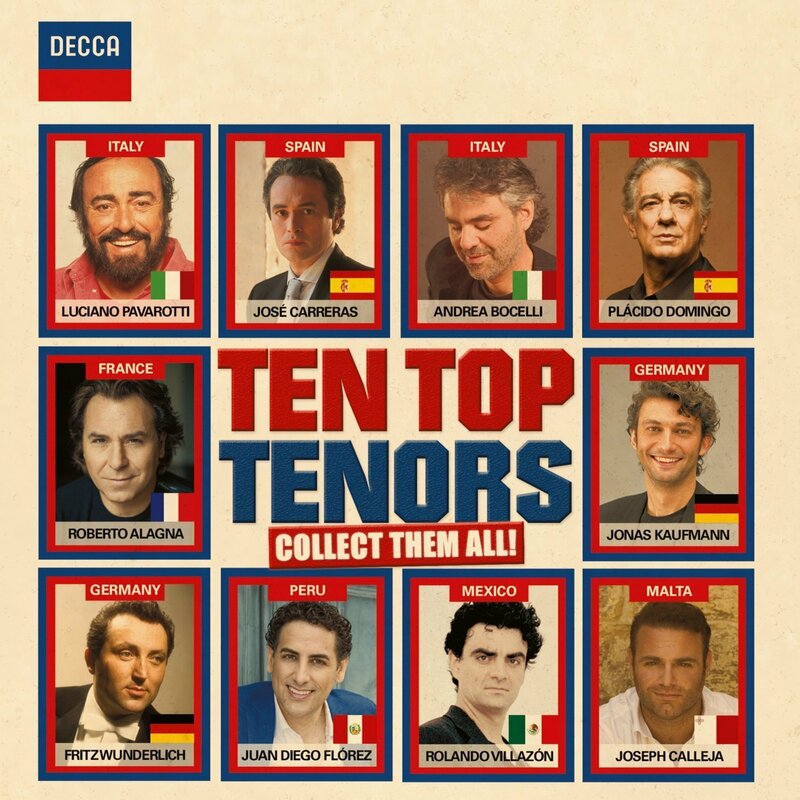 The compilation is entitled “Ten Top Tenors” and is a 2 CDs compilation containing ten of the greatest tenors of our time singing 48 opera arias and songs. 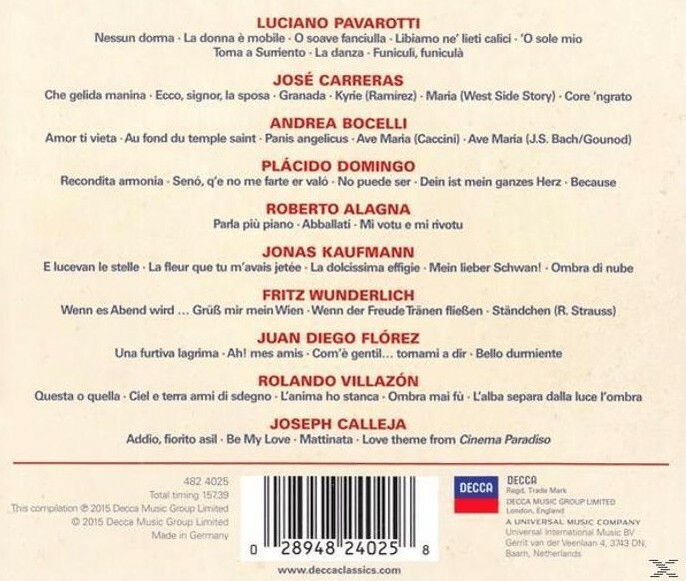 I addition to Pavarotti this compilation includes Carreras, Domingo, Bocelli, Alagna, Kaufmann, Wunderlich, Flórez, Villazón and Calleja. Every tenor is well represented with several tracks. The first disc contains operatic arias and the second disc contains film themes, Neapolitan songs, Sicilian songs, sacred music and more. Pavarotti is represented with as many as 8 tracks on this tenor compilation. One of these are the Neapolitan song “‘O sole mio“. One might argue that there are some tenors that also should be included, but there’s no doubt that the ones that are included deserve to be so. This post was first published 27-12-2015. Last revision 27-12-2015. Posted in Luciano Pavarotti, Pavarotti, Pavarotti in classical songs, Pavarotti in opera arias, Pavarotti's recordings on December 27, 2015 by Odd Pavarotti. My new series of posts with Pavarotti arias A-Z continues. Let’s go! Today is the letter B for “Benedetto sia`l giorno” which is the second aria from Tre Sonetti di Petrarca by Liszt. This recording is taken from a Pavarotti recital from West German TV in 1978, accompanied by the pianist John Wustman. The whole recital is issued on VHS and is also available on YouTube. 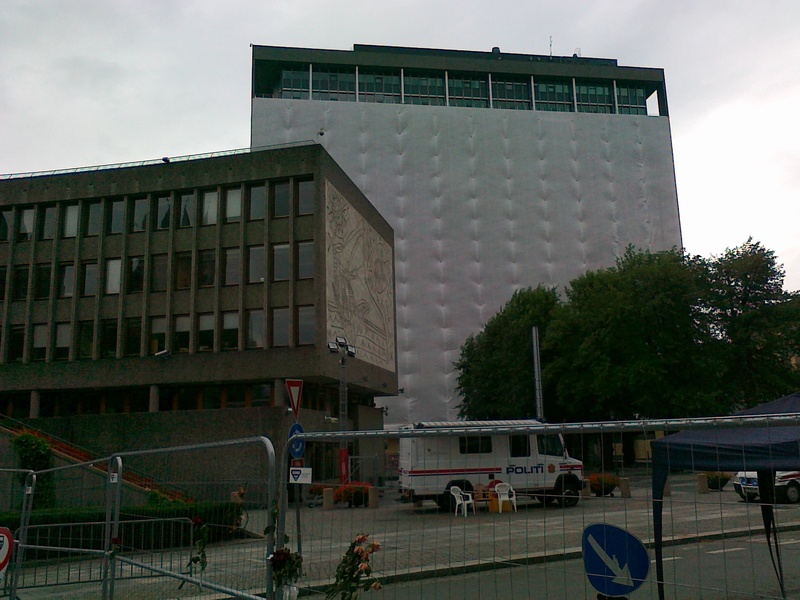 This post was first published 20-04-2015. Last revised 20-04-2015. Posted in Luciano Pavarotti, Pavarotti, Pavarotti in classical songs, Pavarotti sings, Pavarotti's performances, Pavarotti's recordings on April 20, 2015 by Odd Pavarotti. Our investigation into the wonderful songs of the great Italian composer Francesco Paolo Tosti (1846 – 1916) continues. Many know Pavarotti in Tosti from his studio albums where he performed the songs with a full symphony orchestra. If you are familiar with hearing Tosti songs only with piano accompaniment these versions might be somewhat over the top, but I think the orchestrations go very well together with Pavarotti’s wonderful voice. Here are five Tosti songs sung by Pavarotti in orchestrated versions taken from three of his studio albums. After listening to these versions you might want to listen to Pavarotti singing the same songs with piano accompaniment. The first two songs can be found here and the last three songs can be found here. I’m sure you are madly in love with Pavarotti singing Tosti by now! This post was first published 21-03-2015. Last revised 21-03-2015. Posted in Luciano Pavarotti, Pavarotti, Pavarotti in classical songs, Pavarotti's recordings on March 21, 2015 by Odd Pavarotti. We continue our investigation into the songs of the great Italian composer Francesco Paolo Tosti (1846 – 1916). Here are six more Tosti songs sung by Pavarotti which are all taken from various recitals with piano accompaniment. I’m sure you will enjoy these wonderful songs by Tosti as well! This post was first published 15-03-2015. Last revised 15-03-2015. The songs of the Italian composer Francesco Paolo Tosti (1846 – 1916) was an important part of Pavarotti’s repertoire outside opera. Pavarotti sang many songs of Tosti live and on records. 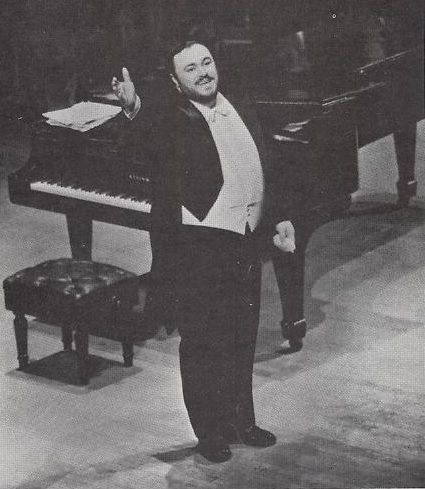 Many know Pavarotti in Tosti from his studio albums where he performed the songs with a full symphony orchestra, but Tosti songs were also regularly featured in his recitals with piano accompaniment. Some of these recitals are issued on records. If you only know Pavarotti from opera I can assure you that Tosti is the one to explore next! This post was first published 14-03-2015. Last revised 14-03-2015. Pavarotti held on 15th May 1983 a recital at the Deutsche Oper Berlin with John Wustman at the piano. There are many audio tracks from this recital out there on YouTube, so many that I think that the entire recital is out there! In an earlier post I published four arias from that recital. Here are six more from that very same recital. More about Pavarotti in Berlin in future blog posts! Posted in Berlin, Luciano Pavarotti, Pavarotti, Pavarotti in Berlin, Pavarotti in classical songs, Pavarotti's performances on April 11, 2014 by Odd Pavarotti.